Are you in disability to creating your own Professional CV ? 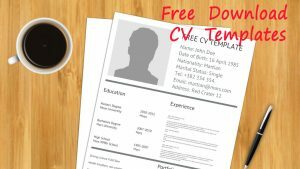 Here, you can free download CV template & guide to create Curriculum Vitae. If an eventual employer has 300 CV to go through in just a day, they won’t read everything – they will skim over the basic details. Make sure to keep each section separate; use page titles and keep your CV simple and clean. If you go over two pages, that third page will most likely never be read, so put the most important information on the first page on your Curriculum Vitae. Our sample resumes can guide you through the resume-writing process. There’s one to outfit everyone, no matter what your level of education or how much work experience you have. Choose the most relevant resume template that best matches your level of study and work experience, then use it as a guide for creating your own Professional Curriculum Vitae.